We live in an age of ceaseless development of cities to house the burgeoning populace that are pouring in from far and near. The overbearing traffic and alarming pollution levels leave us with reduced oxygen, necessitating growing more trees. 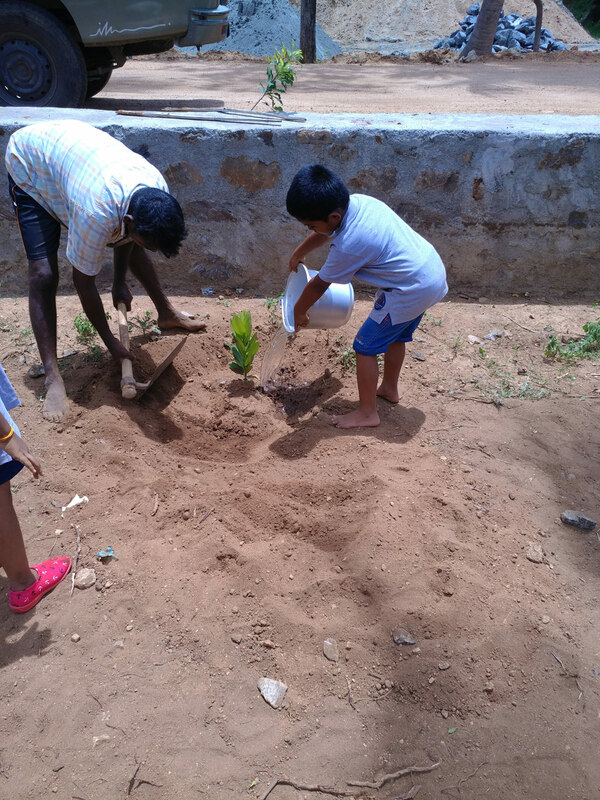 Team Erode Nursery is being maintained by the 1993 batch of Alumni of Kongu Engineering College. 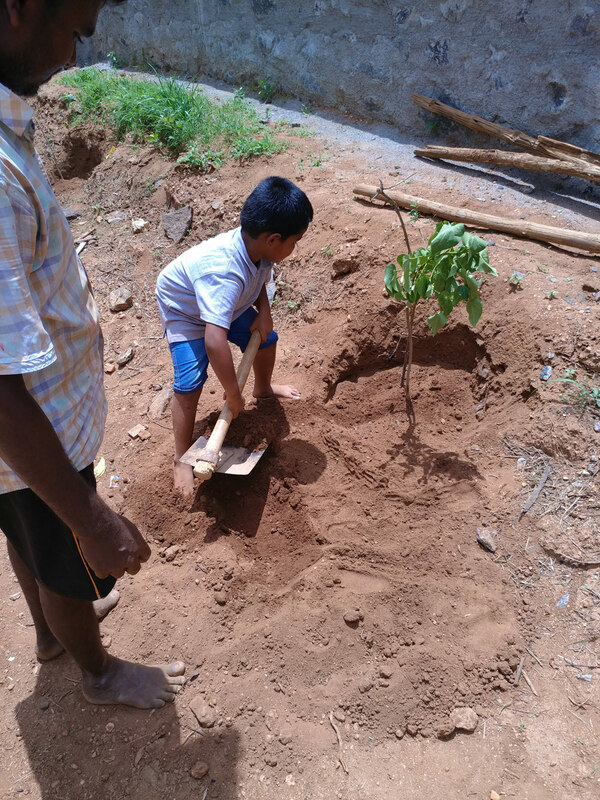 Apart from providing educational aid to poor deserving children, we supply small tree saplings to school children in the 1st Standard and ask them to take a pledge to take care and grow them into big trees, until they leave the school after higher secondary studies. 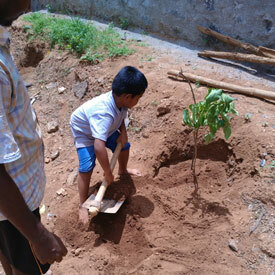 We also give away young grown trees of about 6 feet height to earnest donors who adopt our trees. Maintaining a nursery in the long run does require proper funding. 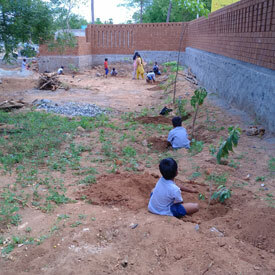 Many corporate houses are able to pull off as a CSR activity. 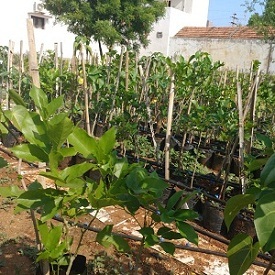 The Government also supplies free seedlings. But we need donations to sustain in the race for this common good cause. 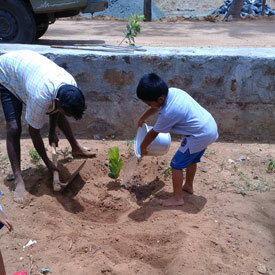 Team Erode Nursery is a part of www.indiateam.org which educates poor students by providing aid from USA. 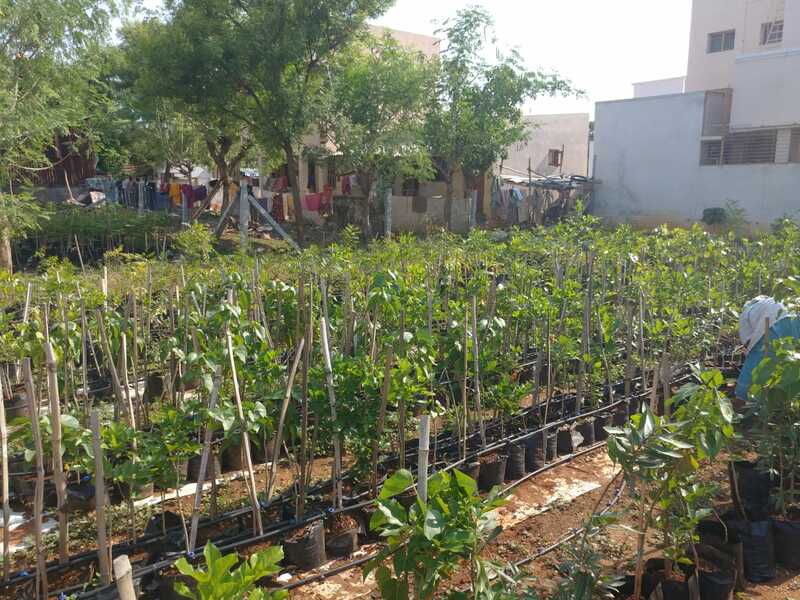 The website throws light on the crux of the issue and educates the public on adapting trees by donating Rs. 400per tree with maintenance for 3 years to support the fight against global warming. The Inimitable Concept That Works! 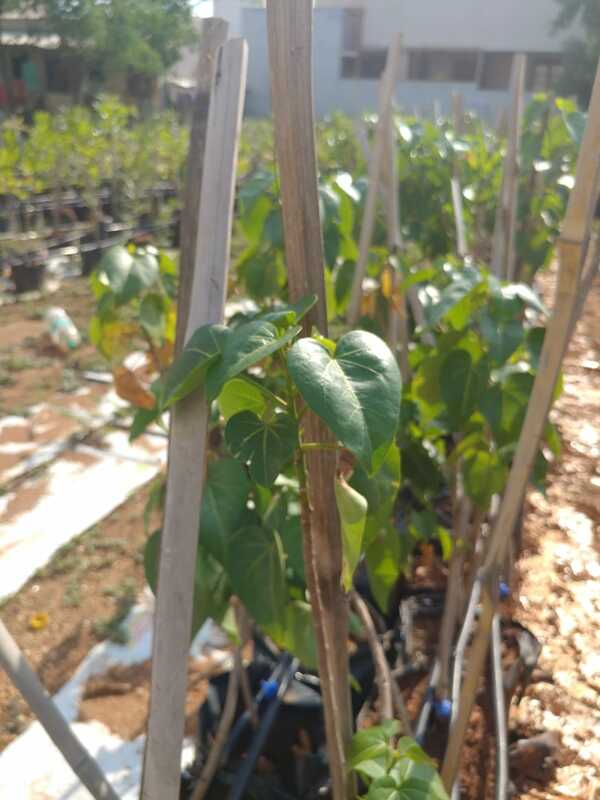 Instead of giving out seedlings and small plants that may have a poor growth rate, we grow the saplings into strong, young trees of about 6 feet height and 1 inch thick. Once an adopter (buyer) is identified, a procedure akin to child adoption follows. 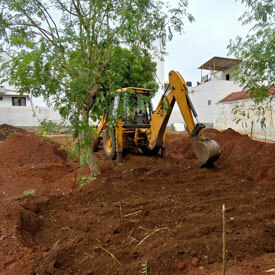 After the initial inspection of the place and regular watering arrangements are confirmed by the adopter, the required size pit is dug and watered during Day 1. 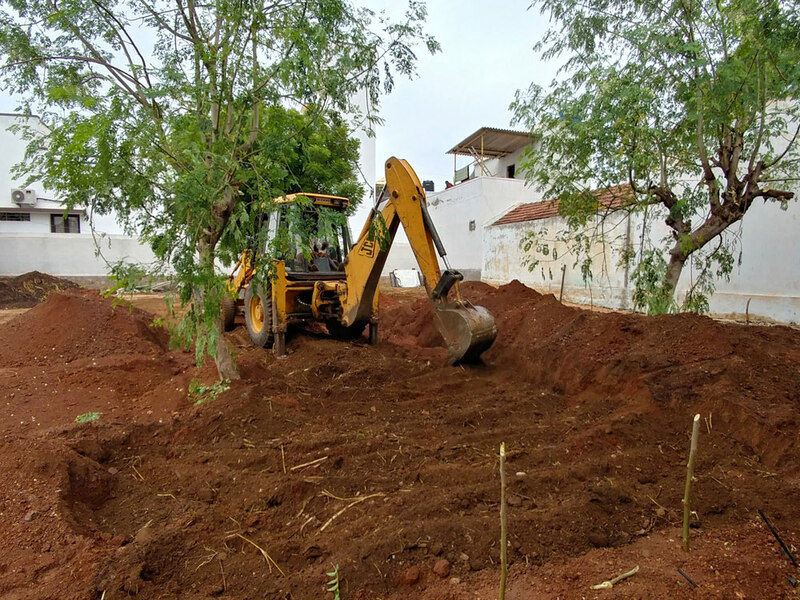 On Day 3, the pit would be filled loosely with local sand and manure for soil conditioning. Only on Day 6, our young trees would settle in their new destination. By marking the area on GPS and constant monitoring, we ensure 100% growth of the trees. 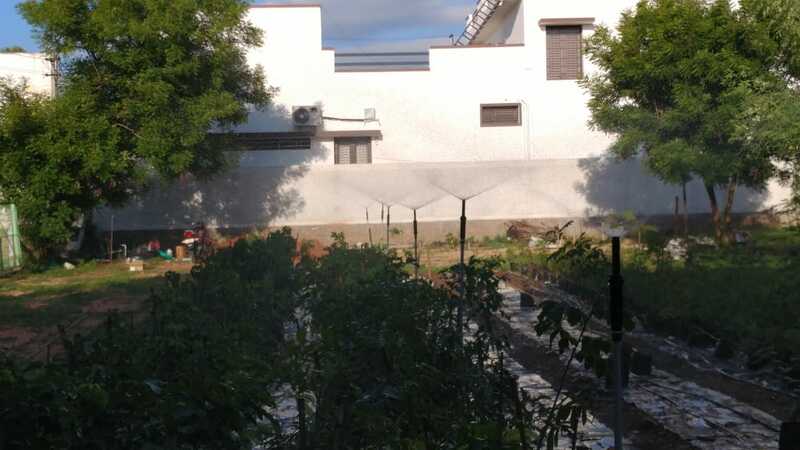 At Team Erode Nursery, we are in need of a Potable Water Treatment Plant which would enable us to use the waste water (sans septic tank water), collected from 5 houses surrounding our Nursery, by treating with modern technology plant from Israel. 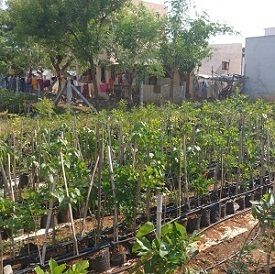 Treated water will be used for our Nursery plants and The surplus water would be distributed to the nearby needy that depend on Government hand pumps for their potable water needs. 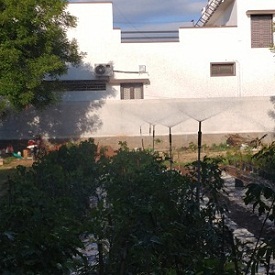 The output sludge can be used as manure or a vegetative cultivation could be planned in the available area. Restoring Forests, The Miyawaki Way! The Miyawaki Method is a new noteworthy tool that promotes the restoration and recovery of native forests. 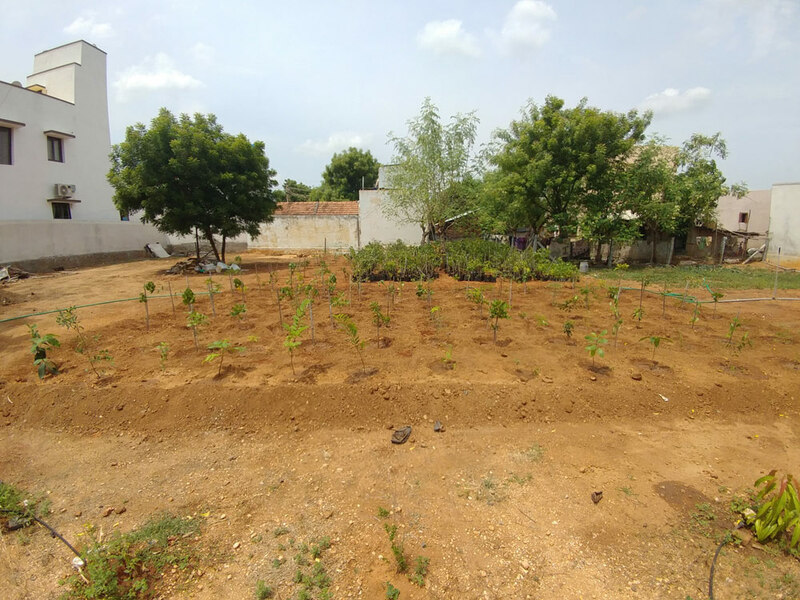 This method involves planting many random trees close together in a small area, thus enriching the green cover and reinforcing the richness of an otherwise degraded land. 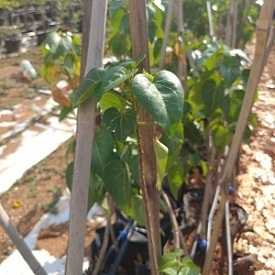 Thanks to Japanese Botanist Dr. Akira Miyawaki and his technique of afforestation, now saplings grow 10 times faster than regular ones.It is all about 3 years of intensive watering and weeding after planting. The result is a diverse, lush, dense, self-sustaining, natural forest. 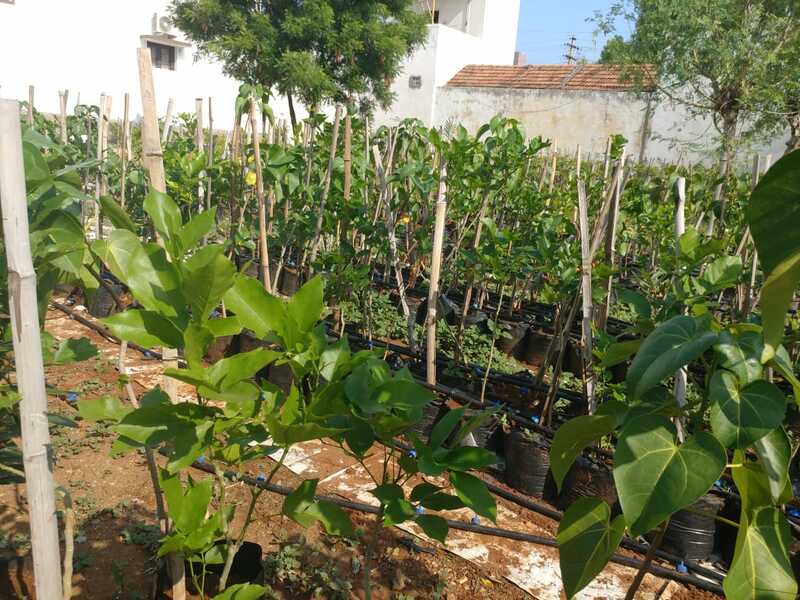 Among the many native varieties planted are neem, mahogany, Indian almond, mango, jackfruit, jamun, bamboo, nagalinga, sampige and gul mohar. 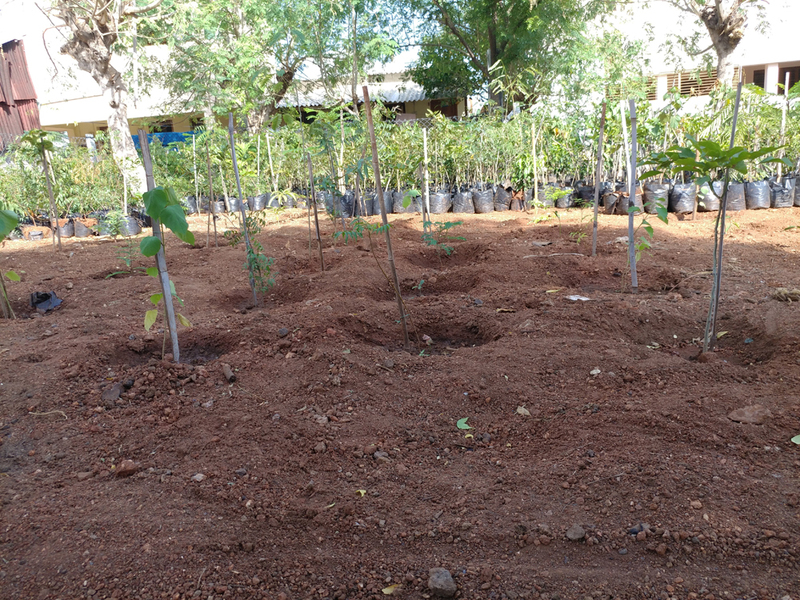 We feel proud that, a mini forest under the over-bridge of Bhavani bypass road up to the Cauvery River bed and a 3000 square feet plantation in our Nursery Area has been completed. 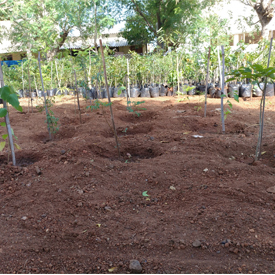 Our Kongu Engineering college have given us the permission to grow a mini forest inside the campus. 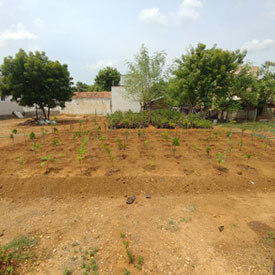 And work is on the process we On the mark of our 25th year alumni meet are Sponsoring for the project with our Plants. We would like to invite private land donors to create mini forests rather than road sides, because roads may widen due to expansion in future. Many people donate small plants as return gifts during their weddings. We have plans to invite the newlyweds and the fiancés to our mini forest and urge them to donate for the cause of growing trees. They could even take a selfie with their adopted trees and show their contribution to Mother Earth. We could give them a placard. Placards would be given to all as a return gift or even a poster shall be placed on a prime space of the marriage Hall that salutes their eco-friendly attitude and help to retain the flora and fauna of the area, making them responsible citizens. 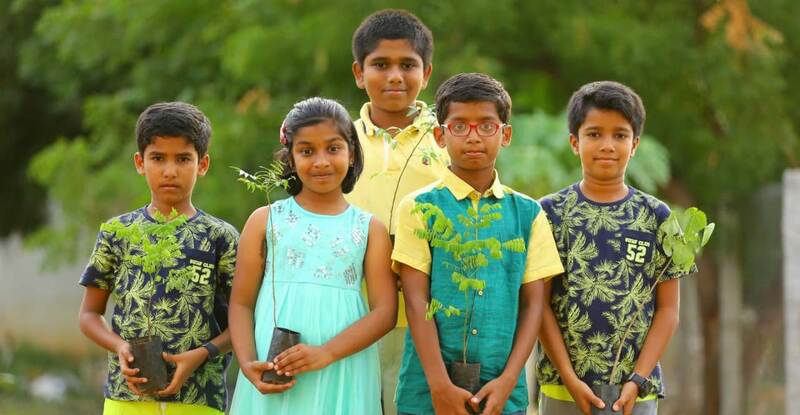 To ensure a flourishing life for our children who are the future, we would request all to donate generously to the cause of making this world a greener place to live in. 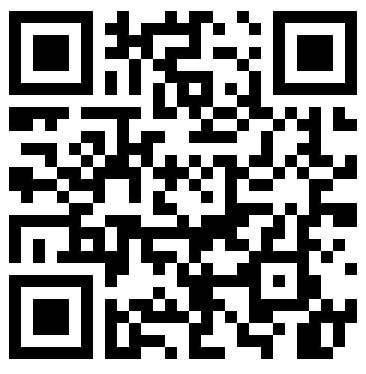 Donations are accepted through Mobile Banking, QR Code and MMID. Account Name : Team for Educational Activities in Motherland. 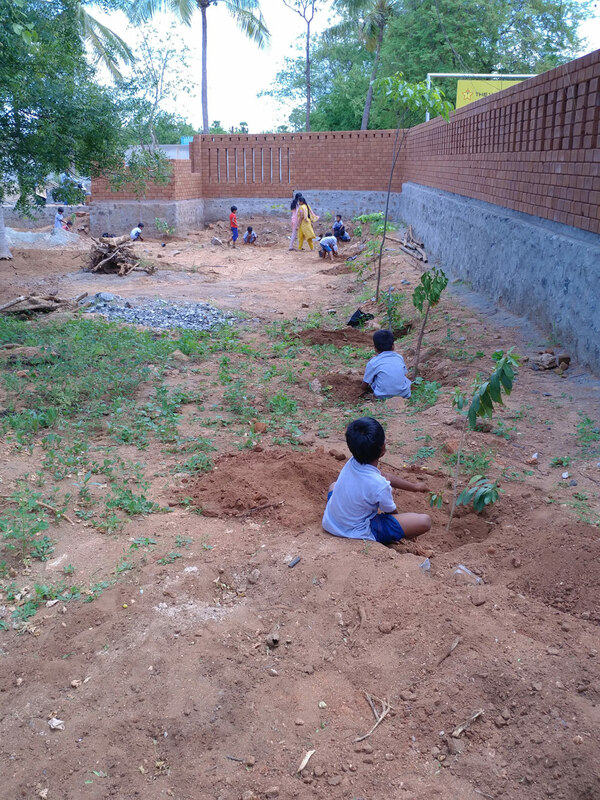 Together, let’s join in growing jungles in the city and improve the biodiversity – so that we and our children can enjoy the fruits of the season, the cool shade, beauty of the flowers and the chirping of the birds tomorrow!